Can Nigeria’s peaceful power transition translate into long-term stability? The results of last weekend’s Presidential elections have finally come to light and jubilant celebrations have erupted across Nigeria. The winning candidate is Muhammadu Buhari of the All Progressive Congress (APC). This is the first time an opposition leader in Nigeria has won a presidential election since the end of the military regime period in 1999. This historic moment is significant in many respects. Most importantly, in relation to the credibility of the elections, it is a positive indicator for the strength of the democratic process in Nigeria. While such issues are of immediate concern, people are now focussing on the long-term changes anticipated under Muhammadu Buhari. Muhammadu Buhari, the opposition leader from the All Progressive Congress (APC) is a former military dictator with a negative human rights record who has just managed to convince Nigeria that he is a reformed individual, who according to David Smith of the Guardian “respects civil liberties yet still wields enough of an iron fist to beat corruption and the insurgency by the Islamist militants Boko Haram.” His first spell in power was in 1983 following a military coup. After ruling for a short period of 20 months, he was himself then imprisoned by the following rival regime. The arrest of some 500 officials and businessman associated with thefts from the state during his short lived leadership does suggest Mr. Buhari has got the ‘iron fist’ required to tackle corruption which has plagued Nigeria’s official corridors of political engagement during Goodluck Jonathan’s presidency. However, many remain uncomfortable that he similarly cracked down on journalists and activists during his time in power. Muhammadu Buhari is a person who is very familiar with running election campaigns in Nigeria. He has previously lost three elections since 1999, including the 2011 race against Goodluck Jonathan. By law, power will not be officially handed over to Mr. Buhari’s until the 29th May, when the incumbent President’s term expires. Since decolonisation in 1960, Nigeria has rarely seen any realistic claims of fair election results from its politicians or the electoral commission which supervises elections that have taken place since 1999. With this in mind, it isn’t really hard to comprehend the necessary issues a running candidate can focus on to win the trust of the electorate. Muhammadu Buhari’s campaign themes have focused on corruption and tackling insecurity in the country. This weekend however, not only Nigerians, but those from other African countries too, have finally taken note of the fact that the country has entered into a new phase of democracy pertaining to the principles of democracy – equality, fairness, freedom of choice, to name a few. “We have proven to the world that we are people who have embraced democracy. We have put one-party state behind us.” Quote by Muhammadu Buhari immediately after the results of the elections. Nigerians can finally revel in the promise that they have the electoral power to choose their leaders of tomorrow. The establishment of this hugely important milestone will have positive implications for Nigeria’s democratic future, which the country desperately needs, given the suspected rigging of previous elections. World leaders have also acknowledged this momentum. British Foreign Secretary, Philip Hammond congratulated Muhammadu Buhari on his victory, and President Goodluck Jonathan for his statesmanship in delivering free and fair elections, while stressing the importance of ensuring the transition to a new government remains peaceful. The handover of power has thus far been exemplarily nonviolent in stark contrast of the 800 killed in post-election violence after the 2011 elections. The topic of insecurity was one of the most heavily contested issues during the election campaigns. Boko Haram’s insurgency reached its peak in 2014 and despite the recent advancements of the Nigerian army it continues to be an agenda-setting problem today. The problem has been highlighted recently in the context of the corrupt and incompetent government of the PDP (People’s Democratic Party). That Nigeria is run by cooperating and competing elites is no news, but the vehicle until now has been the government of Goodluck Jonathan. With this set to change on the 29th May, the influential elite of Nigeria have also voiced their desire for the change that Muhammadu Buhari has campaigned for. 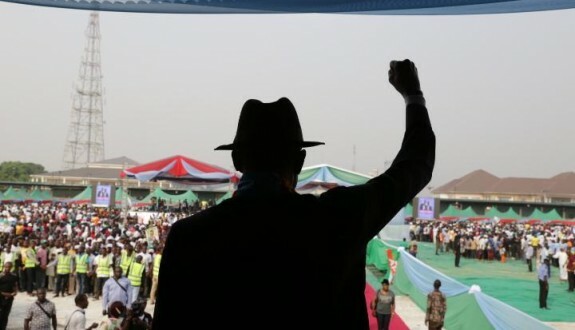 The trust of the electorate and the elite towards the newly elected president signals the support for change needed in Nigeria, and with General Buhari’s reputation for leading the fight against corruption, the fight against Boko Haram may finally enter a new stage of engagement. “I assure you that Boko Haram will soon know the strength of our collective will and commitment to rid this nation of terror and bring back peace. We shall spare no effort until we defeat terrorism. In tackling the insurgency, we have a tough and urgent job to do.” – Muhammadu Buhari speaking in Abuja a day after his victory. Notwithstanding the insurgency in the north, reports of weapons build-up in the Niger Delta may soon be a topic on the security agenda as well. The amnesty programme created by the late President Umaru Yar’Adua, which saw militants in the Delta lay down their weapons in exchange for training and employment, is due to end after the elections. Fears that violence may resume in the region have spread. The severe decline in oil prices has also accentuated the incompetence of the current government. Corruption has slowly eroded Nigeria’s social capital, which has broken the vital trust that links the electorate with the institutions in charge. Yvonne Mhango at Renaissance Capital was quoted saying – “We think a Buhari win implies reformist policies, including austere fiscal policy and a clampdown on graft.” Many may find the initial steps of Buhari’s presidency unsettling, but repairing the damages done is no easy task and more importantly restoring the trust between the people and their government will take a while, despite the encompassing positivity from the elections. Expectations will be high for Buhari to deliver the political skills needed to lead Nigeria’s most populous democracy. To find out more about our news coverage of the elections or read up on some of the views and analyses expressed by other professionals, click here. 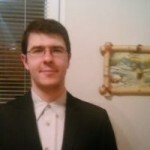 Ivaylo Hristev is an MA student in International Relations at Regent's University in London. He is in his final term and works for HART as a Research and Campaign Intern. Ivaylo is interested in humanitarian interventionism and security studies.